2018 Induction Class Announced, Banquet is Nov. 8th! On Thursday, Nov. 8 the new class of the Twin County Hall of Fame will be inducted. The 2018 class includes a pair of married medical doctors, an educator, two business owners, a local veterinarian, and three people who dedicated their service to community service in the arts and sports. Dr. Robert Barbe and his wife, the Rev. Carolyn Barbe, are from Tarboro. Dr. Barbe served in the U.S. Air Force as a flight surgeon and eventually moved to North Carolina to expand his medical studies. He joined the Tarboro clinic in 1972 until his retirement in the 1980s. Carolyn Barbe was a nurse and taught at Edgecombe Technical College and N.C. Wesleyan. She also served as chaplain at Tarboro Vidant Hospital. Together they served on numerous mission trips to Africa. Carolyn Barbe died in May 2018. Dr. Newsom Pittman Battle and Dr. Margaret White married in 1937 and spent the rest of their lives serving the people of the Twin Counties as physicians for over 50 years. Dr. Newsome Battle practiced at Parkview Hospital, and later they both helped organize the drive for Nash General Hospital. Dr. Margaret Battle was the first female physician in Rocky Mount. When she wasn’t treating patients she was active in the Nash County Historical Association that she helped found in 1970 and also the Stonewall Foundation in 1980. Dr. Newsome Battle died in 1981 and Dr. Margaret Battle died in 2003. James Erastus Batts was born in Rocky Mount and attended Booker T. Washington School. He earned a Bachelor and Masters from N.C. Central. He also studied at Howard University and Tuskegee College. He served in the Army in World War II and returned to North Carolina after the war to teach and coach in Edgecombe County Schools. He was the principal at Conetoe for over a decade before moving to Phillips in 1959 until it closed in 1972. Batts died in 1976. Dr. Charles Marshall Coats operated his veterinary hospital in Rocky Mount for 20 years. He graduated from Rocky Mount High School and went on to Atlantic Christian College (now Barton) in Wilson and then to the N.C. State veterinary program. He worked with many health and christian organizations on a state and national level. Locally, he made visits to schools to talk about animals and health care. He rescued numerous animals from shelters and set up bird houses for residents at area nursing homes. Coats died in 2016. Janice Beavon Gravely was born in Spokane, Washington. She served in the U.S. Navy during WWII where she met her husband, Ed. The couple moved to Rocky Mount after the war. Janice is an artist, an author and active in community programs, She wrote two books about her life and has had her art showcased at the Dunn Center in Rocky Mount. She has been active with the Junior Guild of Rocky Mount, the Rocky Mount Christian Women’s Club and the former Rocky Mount City School Board. 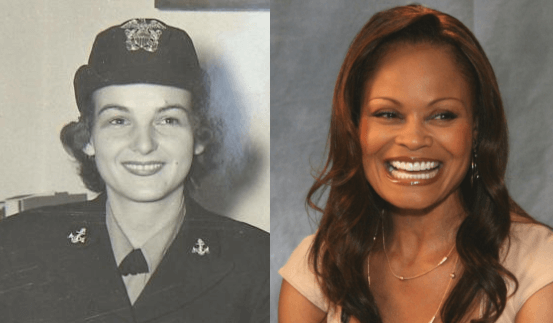 Tarboro native Janice Bryant Howroyd graduated from Pattillo High School and then N.C. A & T. She earned her Masters from the University of Maryland and her Ph.d From N.C. State. She opened her own business, Act One, in California and became the first black woman to own a billion dollar company. She has been recognized by several business organizations and was the University of Southern California’s 2010 Entrepreneur of the Year. President Barack Obama appointed her to the board of advisors for the White House initiative on Historically Black Colleges. Lt. Col. James Mercer, US Army (Ret. ), was born in Edgecombe County and joined the military after graduating from North Edgecombe High School. He retired with 30 years military service in the Army National Guard. He served as director of Emergency Management for Fayetteville State and later for the city of Raleigh. He also served as a firefighter for the Rocky Mount Fire Department and as Deputy Fire Marshal for Nash County Emergency Services. He retired in 2006 as Director of Emergency Services of Edgecombe County in 2006. He taught Public Safety as Nash Community College and is currently the Director of Military Studies at N.C. Wesleyan College. Robert “Bob” Melton was born in Nash County in 1872 and grew up on a farm. He tried various business interests but it wasn’t until he was 50 years old that he turned his love for barbecue into a profession when he opened his first restaurant on the banks of Tar River. He specialized in pit-cooked barbecue and shad. His was the first real barbecue restaurant in eastern North Carolina. His cooking and business put Rocky Mount on the culinary maps of the world and drew patrons from numerous countries as well as every state in the country. Life magazine proclaimed him “King of Barbecue” in 1958, the year Melton died at the age of 86. His legacy continued at its original location on the Tar River in Rocky Mount until Hurricane Floyd destroyed it in 1999. Betsy B. Strandberg was born in Rocky Mount and graduated from Rocky Mount High School. She then attended Women’s College to study music, but switched to biology. After graduation she taught Biology in Wilson County Schools and later in Durham. She moved to Rocky Mount in the 1950s and raised a family. She has been active in numerous community programs including the Children’s Museum, the Arts Center, Braswell Memorial Library and the Coastal Plain Heart Association. She also served as the first female president of the Rocky Mount Chamber of Commerce. Samuel A. Toler was born and raised in Edgecombe County and graduated from West Edgecombe School. He was active in sports and played semi-pro baseball for seven years. His business career was with Carolina Telephone Company, but his passion was coaching and supporting youth baseball programs. He coached Little League within the Rocky Mount Parks and Recreation program for over 40 years. His teams won 12 championships. He also coached on three State championship Little League teams. He has been active in the Rocky Mount Christmas Chorus for almost three decades and also worked with softball and volleyball tournaments in the region. The induction ceremony will be Thursday, Nov. 8 at the Rocky Mount Event Center. Tickets are $50 each, and reserved tables of 10 are $600. Tickets, tables and additional sponsorships may be purchased from board members and online at www.tchof.org.